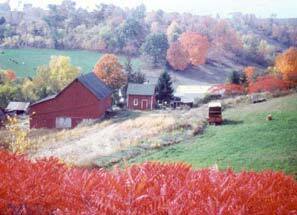 This lovely fall photo was taken of the Wisconsin countryside by my father more than twenty-five years ago. It remains a family favorite. 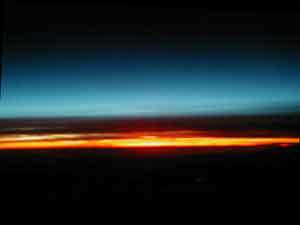 My brother Ron has been taking photographs of sunrises and sunsets for years. 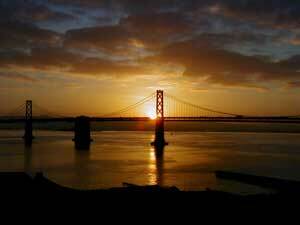 He took this photograph of the San Fransisco Bay Bridge at dawn on the morning of September 12, 2001. 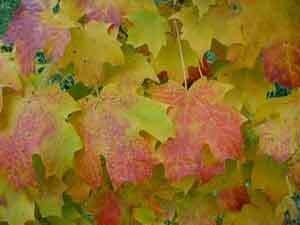 Fall foliage in Wisconsin is usually a very colorful affair. Rich colors almost assault you. Ron took this shot of a much more subtle interplay between colors, managing to capture that moment between summer and fall. 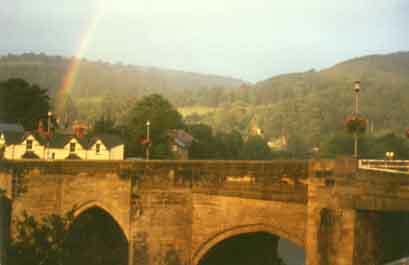 Mother may not have spotted any leprechauns on her visit to Ireland a few years ago, but she certainly found gold in this picture of a rainbow lighting the sky above a stone bridge. One family tradition in our house was to make our own Christmas cards, right down to printing the letters and developing the photographs ourselves. 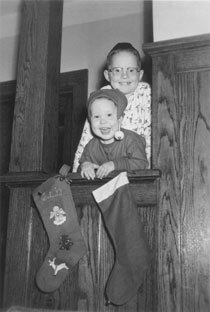 When my brother and I were young, our cards were primarily pictures of us. Later, Dad got very inventive in using his camera to create images for our cards. Since this particular camera was almost a museum piece, he was somewhat limited. But oh, what wonderful family keepsakes! My brother loves to take l-o-n-g walks. 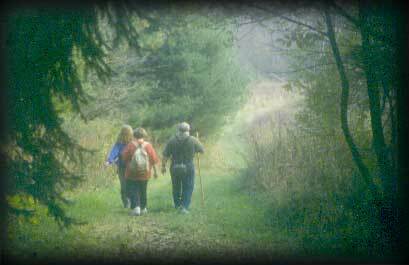 This is a snapshot he took on a walk in Wisconsin's Blue Mound State Park. I like the colorful hikers walking through a dreamlike woodland. 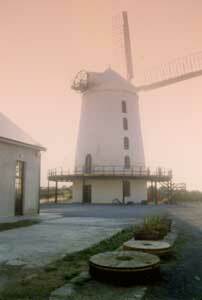 A haunting picture of a lonely Irish windmill was taken by my mother. From this port, famine victims left Ireland in the 19th century never to return. Starving, many didn't make it to land. I added the red gradient wash in Adobe Photoshop to give the picture a more forbidding aspect. Ever try to take a picture of a restless 10 year-old girl and an infinitely more restless 4 month-old kitten? In the dark? My father had the patience of Job and managed to wait until Sox and I were ready, then quickly snapped our Christmas photo. 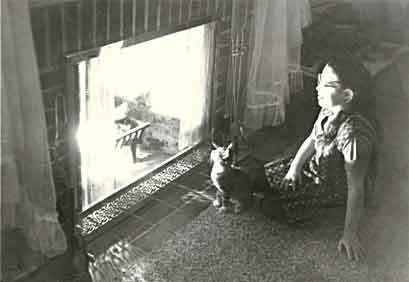 The kitten grew up, of course, and Ron's picture shows Sox as an adult. Much to my delight, he had this photograph enlarged to poster-size so that I could hang it up in my dorm room at college. 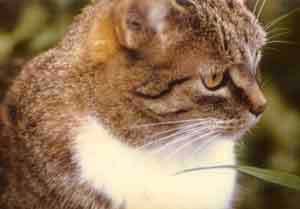 Sox lived a good long life, passing away at the age of 18 ½ years. This is another of my brother's beautiful sunset pictures. Those intense band of complimentary colors make it a striking photograph of the magic hour at dusk.